Product prices and availability are accurate as of 2019-04-06 13:20:27 EDT and are subject to change. Any price and availability information displayed on http://www.amazon.com/ at the time of purchase will apply to the purchase of this product. HIGH QUALITY- Made from 304 Premium Stainless steel material with quality rubber cushioned. Salt resistant, anti rust, anti-corrosion, waterproof, oil-proof. Clamps are sturdy, strong and reliable. 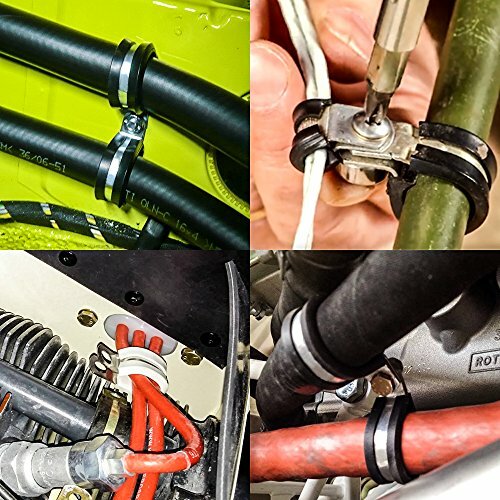 The quality rubber insulation on the clamps holds up flawlessly. It is pliable which protect the tube well and keeps the clamp securely in place. 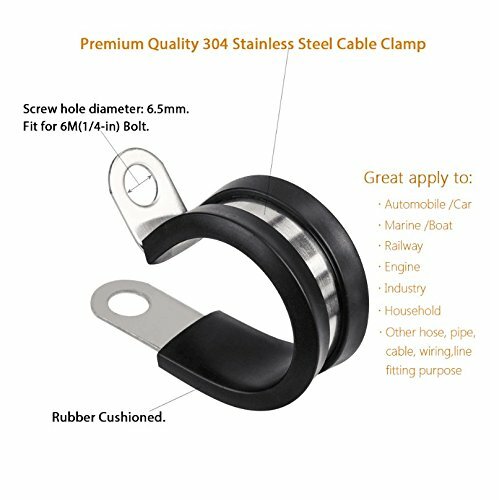 WIDELY USE- Clamps are marine grade. Perfect to apply in automotive, industrial, boat/marine, windshield, household etc. for wiring, cables, pipe, rack, line management and restoration. No matter in salt water/air environment. SIZE- Multi-sizes from 3/16''-2 '' are available for your buying option. Just click the detail page size for your viewing. 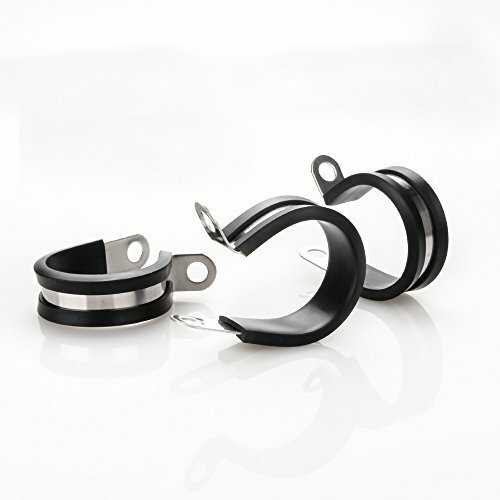 STYLISH DESIGN- The P-Style design makes the clamps stylish, flexible and innovative. Strong and reliable. 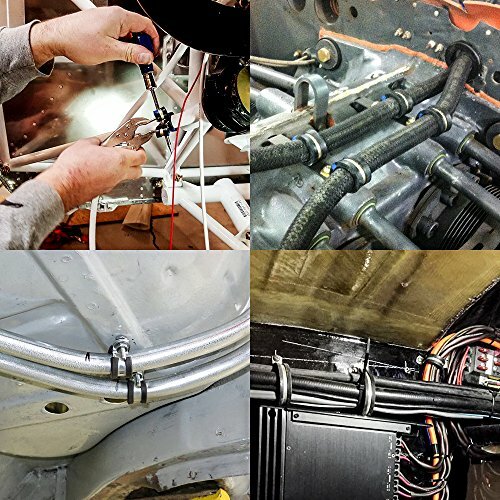 Easy to twist, bend, manipulate when install. ENVIRONMENTAL FRIENDLY- It can be reused and recycle if you do not want them to stay on the original place thanks to the high quality material which makes them worked last for years.